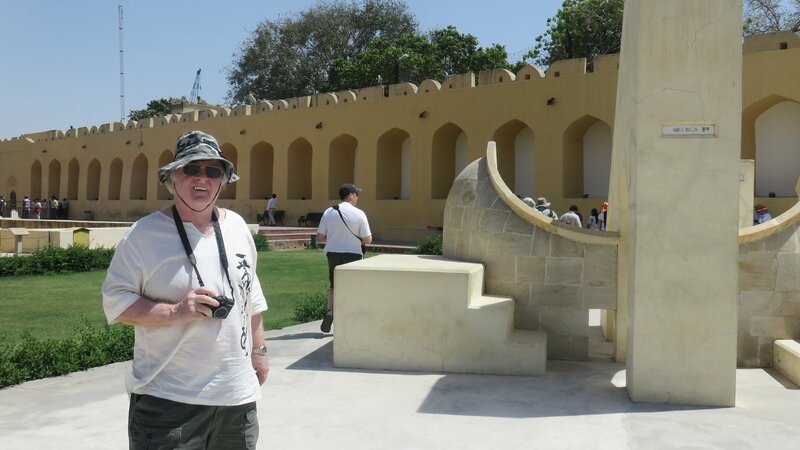 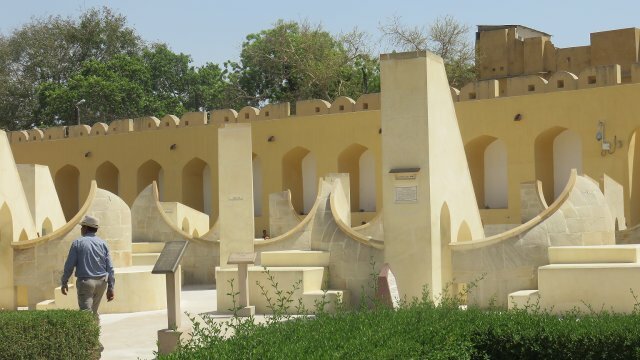 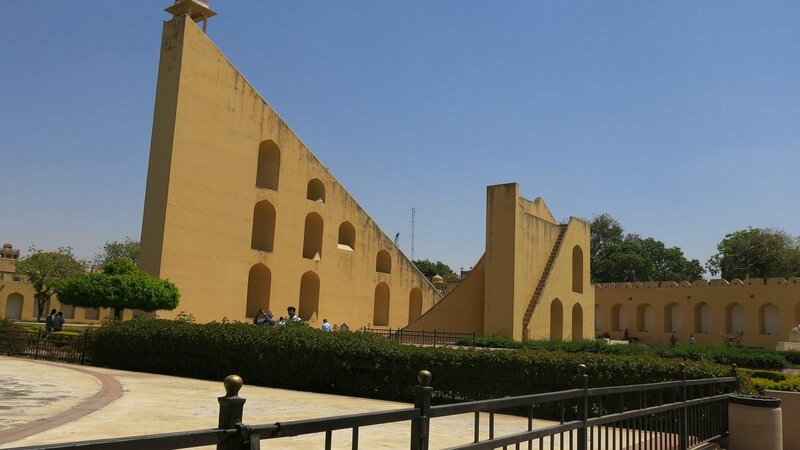 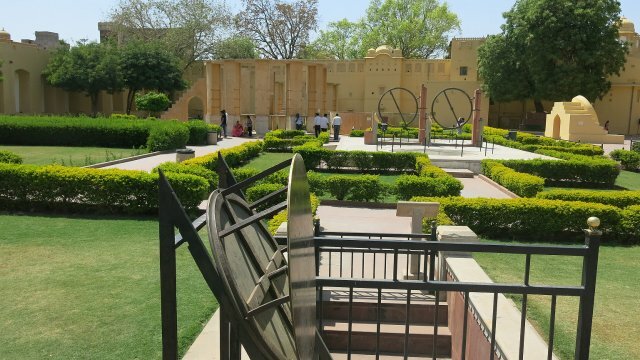 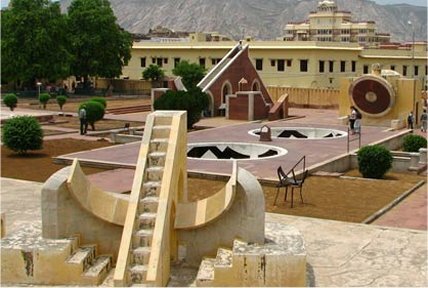 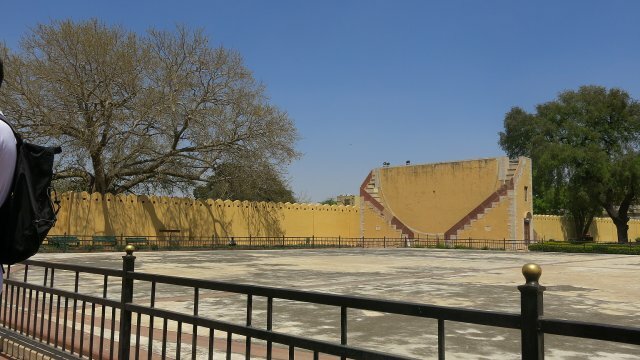 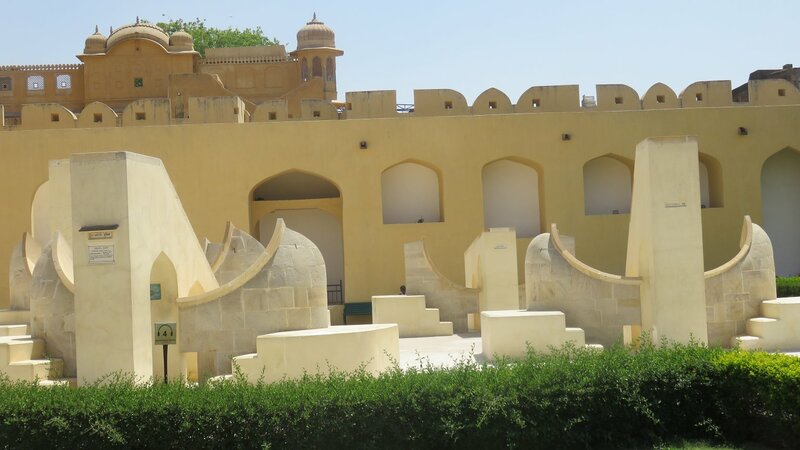 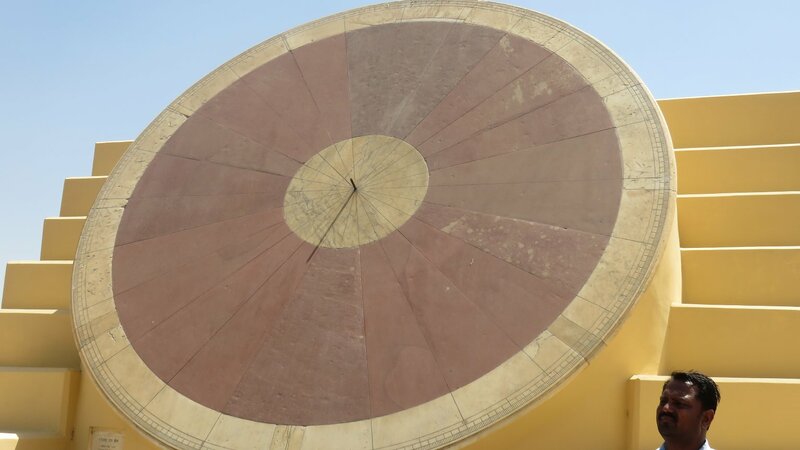 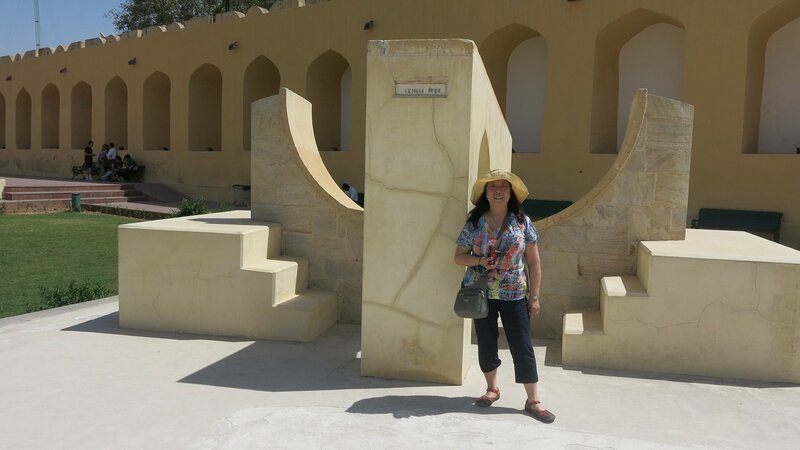 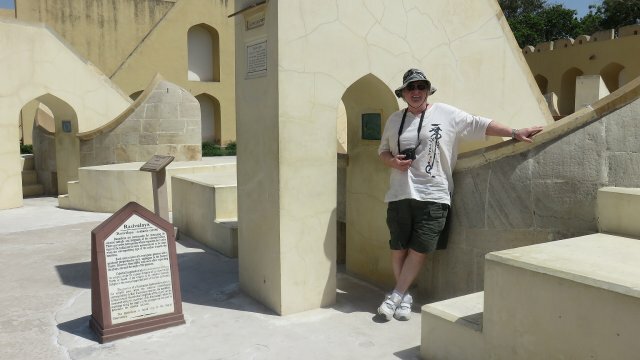 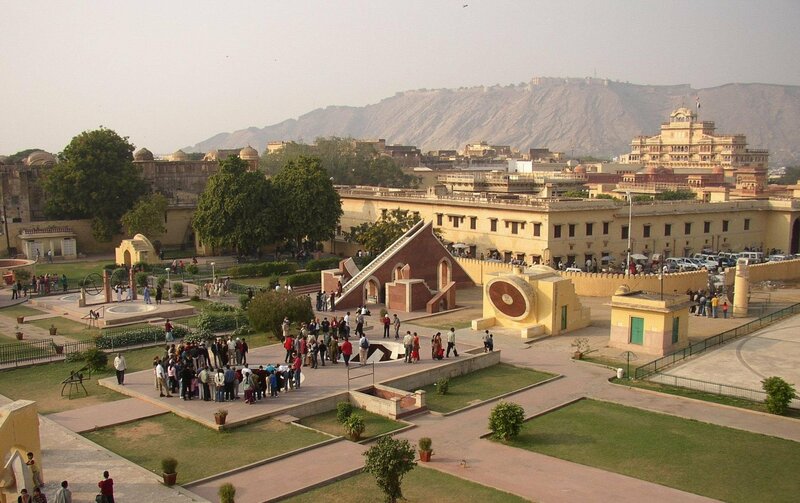 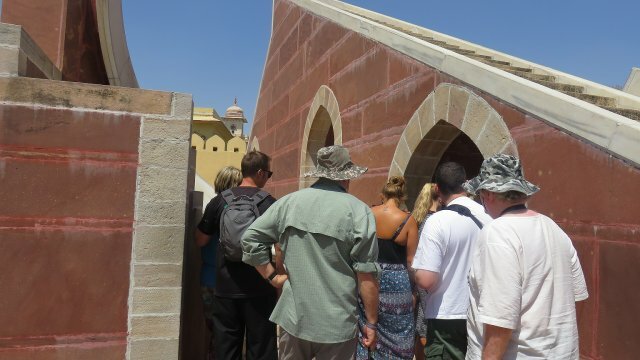 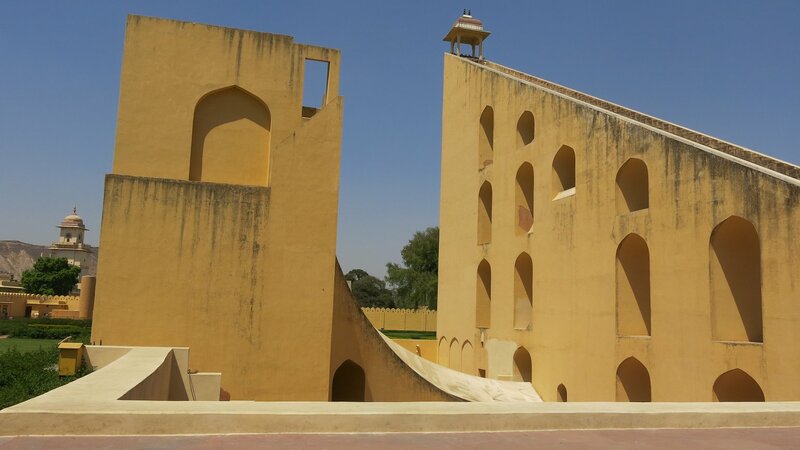 The Jantar Mantar ("Magical Device") Observatory Monument of Jaipur is a collection of nineteen architectural astronomical instruments, built by the Rajput king Sawai Jai Singh, and completed in 1734 CE. 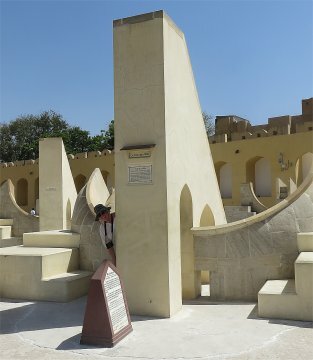 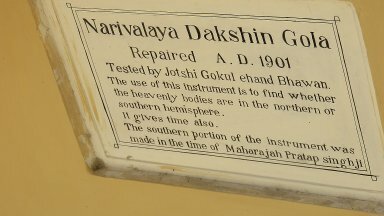 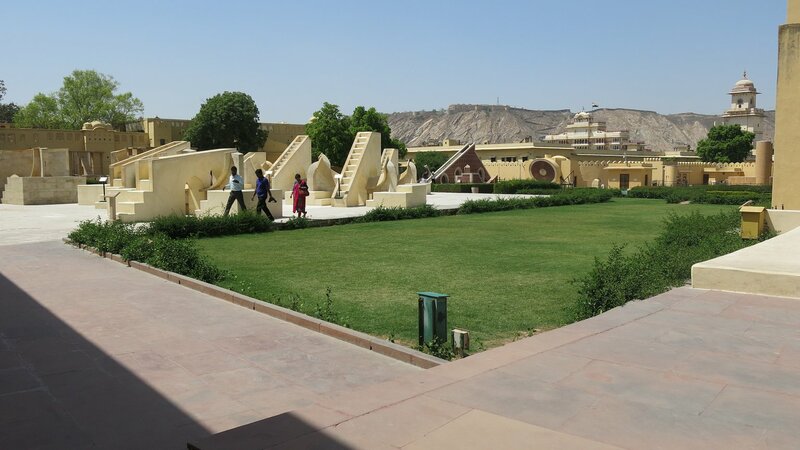 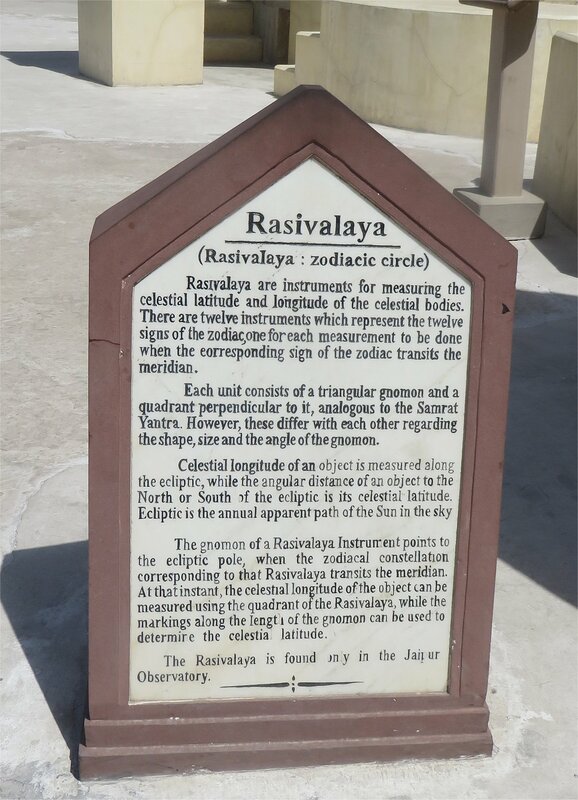 The monument features masonry, stone and brass instruments that were built using astronomy and instrument design principles of ancient Hindu Sanskrit texts. 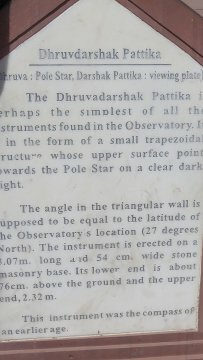 The instruments allow the observation of astronomical positions with the naked eye. 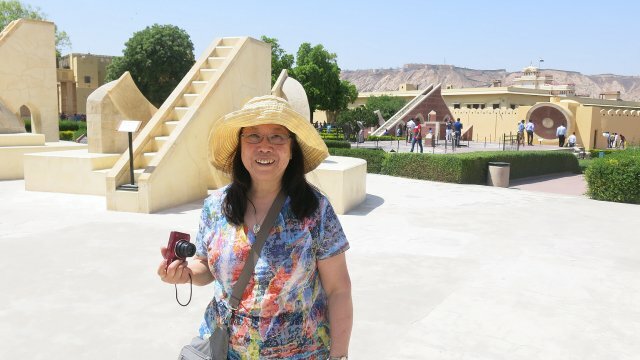 Jantar Mantar is one of the largest stone observatories in the world which is still running. 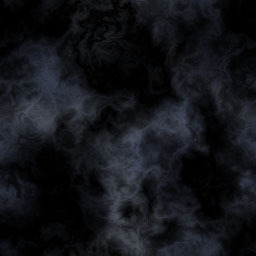 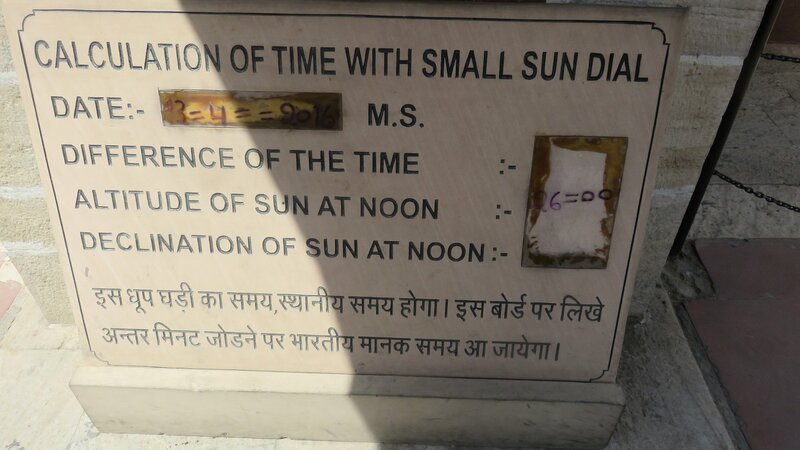 It stands witness to the wisdom of the former age. 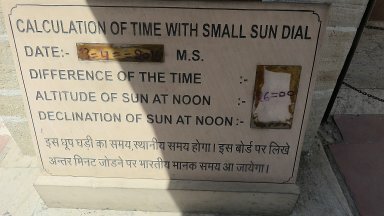 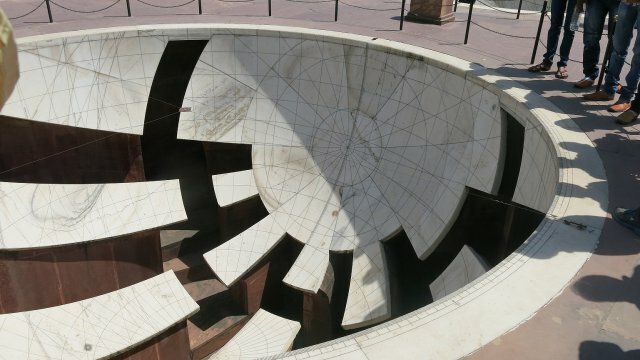 The sundial has a time accuracy of two seconds! The monument expresses architectural innovations, as well as the coming together of ideas from different religious and social beliefs in 18th century India. 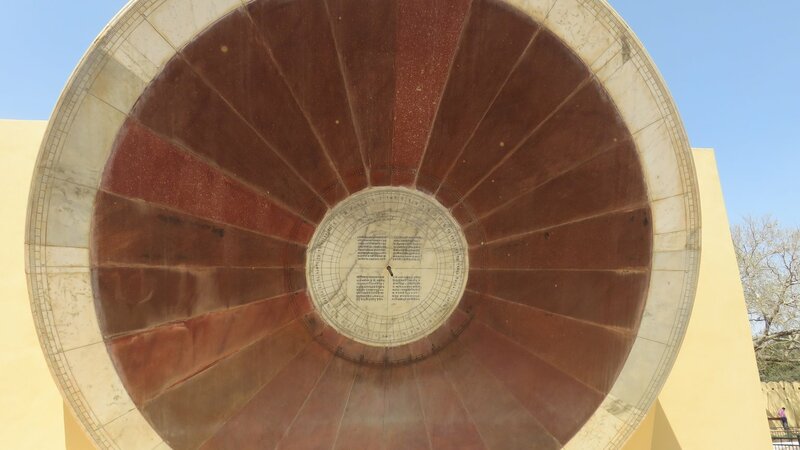 The observatory is an example of the Ptolemaic positional astronomy which was shared by many civilizations. 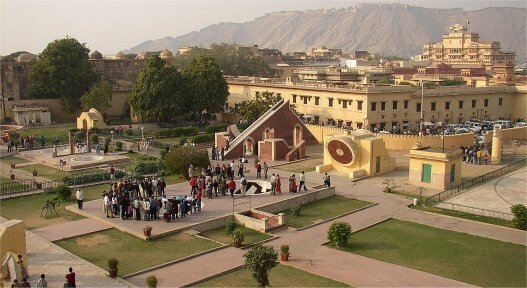 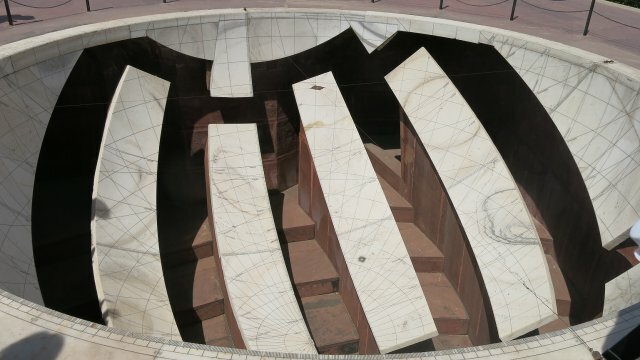 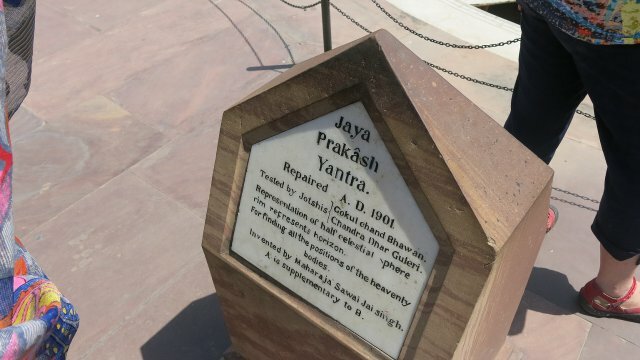 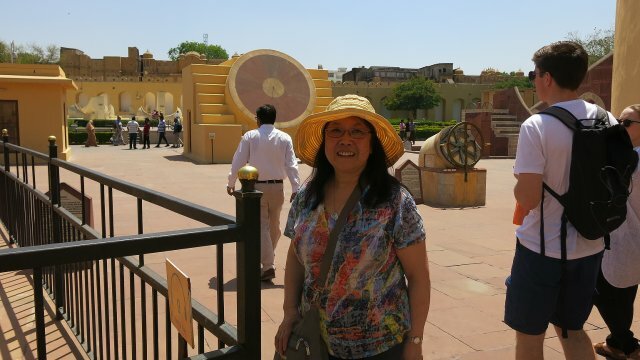 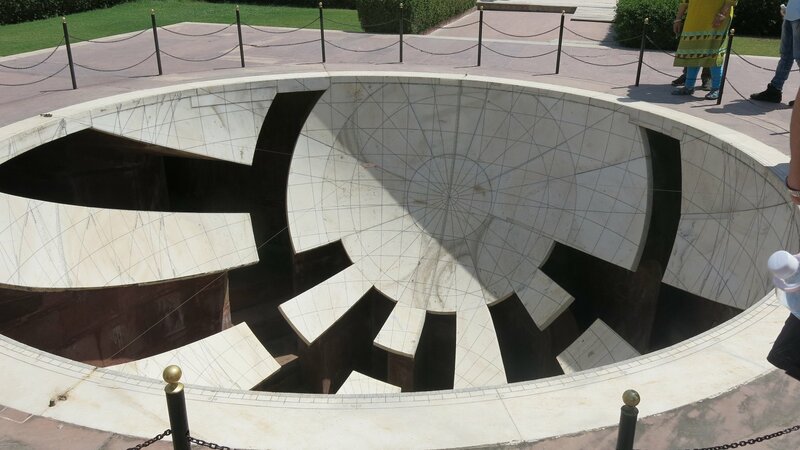 Vrihat Samrat Yantra (the world's largest sundial).